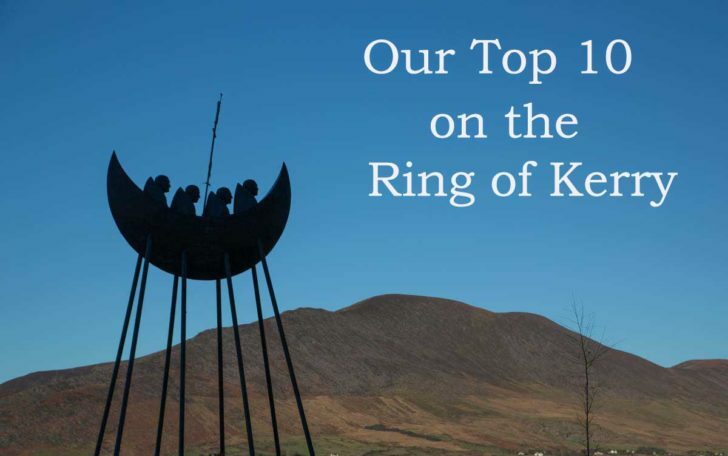 By following our Top 10 Ring of Kerry it will lead you in the direction where you will find plenty of other places not mentioned here. “Over the Water” from Cahersiveen by the old RIC Barracks and across the bridge you will find Ballycarbery Castle, Leacanabuaile Stone Fort, and Cahergal Fort. These old structures date from the 16th Century Castle to the Forts which could date back to BC and beyond. They are striking structures and you will possibly spend 40 minutes to one hour visiting the three sites. The Skellig Ring, this is a huge addition to the Ring of Kerry, its a quieter route with breathtaking scenery, historic attractions and Ancient Monuments. Take a right after leaving Cahersiveen to Renard point where you can take the Valentia Car ferry to Knightstown on the Island. Historic Trans-Atlantic Cable 1858 Europe to America was of huge importance, my mother’s father was one of the Managers for the Cable Company which looks like getting UNESCO status. There old national school on the right leaving Knightstown towards the lighthouse here you will find the transatlantic Museum along with the history of the Radio Station on Valentia. A walk up to Bray Head on the West side of Valentia, with beautiful vistas of other headlands on the west coast of Kerry. You will also have a great view out to the Skellig Islands where they filmed some of the breathtaking scenes in the Star Wars movie. There is an old viewing tower at Bray Head and a loop walk that brings you back around to the Car park. It is a great place to stretch your legs and spend some time out of the Car. Portmagee a small fishing Village just by the bridge to Valentia has some small shops and a nice place for lunch the Bridge Bar. You also have the Skellig Experience just over the bridge. If the weather is nice you can eat across the road from the Bridge Bar and watch all the activity on the boat dock. The Butler Arms hotel and fisherman’s bar in Waterville, family run hotel with buckets of history, there is also a Charlie Chaplin lounge along with the Fisherman’s bar serves lunch. Derrynane House, the beautiful gardens, Fairy trail and the boasting the most spectacular beaches in Ireland we recommend you spend at least one hour here out of the car. Staigue Fort, it is a small drive off the Ring of Kerry, its spectacular, it is free and it will get you out of the Car again. Torc Waterfall, its free it is open 24 / 7 and it is a short walk and you are back in Killarney if you are staying here. 2017 Images © Copyright. Ring of Kerry & Niall Huggard. Website design Egg Design.